Fold away the unnecessary: DB Schenker connect 4.0. Door-to-door offers in real time for air and ocean freight. Online booking and tracking with integrated shipment overview. Benefit from easy handling and our global network. You have control over your shipments - supported by our logistics professionals all over the world. DB Schenker Americas Collaborates with IAM Robotics to Develop the Warehouse of the Future. Don't have enough cargo to fill a container? We have 700+ direct service options and a state of the art gateway network to save you money, and provide you the flexibility you need to schedule your shipment. Tracking while you are on the move. Easy access on your mobile to track your shipments, receive notifications and more. What you need to know about exporting dangerous goods. Our licensed brokers and experts work with you to ensure that your shipments are processed expertly, efficiently and timely. We take the complexity out of insurance and the risk out of shipping. We don‘t just move your goods - we protect them. 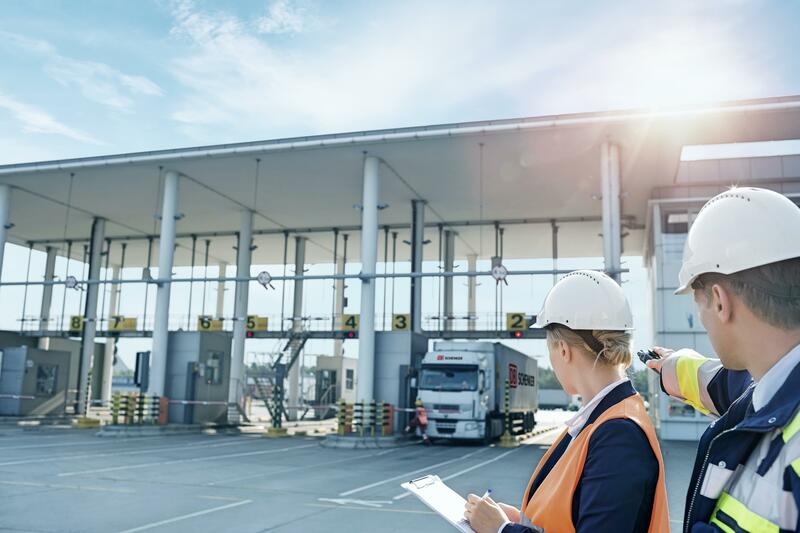 As a leading global logistics company, DB Schenker offers single source comprehensive risk management & transportation compliance solutions, including cargo insurance, customs bonds, trade documentation, compliance, and training solutions. The ever-changing rules and regulations of U.S. Customs and Border Protection adds complexity and risk to the North American importer. Schenker’s Customs Services can help you make sense of it all. We connect with you on social media platforms to engage in conversation, educate our followers/readers and give you the opportunity to see our people and products in action and build relationships.